Byron Johnson-Blanchard teaches drum set and percussion lessons. He holds an AAS degree in percussion performance from McNally Smith College of Music. With nearly a decade of teaching and performance experience, Byron merges college level music theory with knowledge acquired on the job. Lessons with Byron are structured, fun, and can be tailored to the student’s interests and needs. He teaches students of all ages. 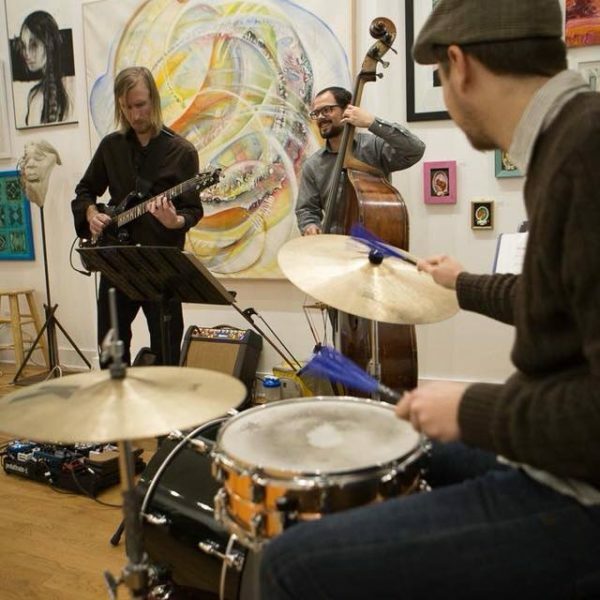 When he isn’t teaching, you can find him playing with his band Amethyst 3, a collaborative jazz group called Silverback Trio, and numerous other musical projects. Students are welcome to bring in any school texts or other texts that fulfill their interests/needs. Students are welcome to bring in any play along/songs that fulfill their Interests/needs. Byron currently teaches at multiple locations around the Twin Cities. In home lessons may be available based on location and scheduling. Please Contact Me at byronj_b@yahoo.com for rates, scheduling and more information.